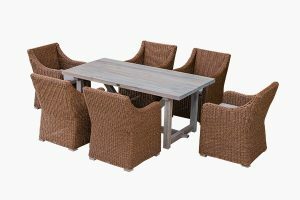 ﻿ What constitutes weather resistant rattan patio furniture? 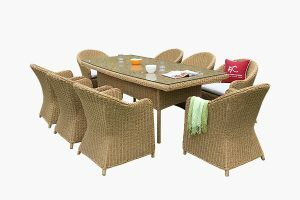 What constitutes weather resistant rattan patio furniture? 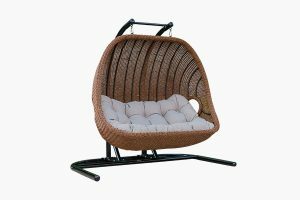 Rattan patio furniture is made from a variety of manufactured materials. 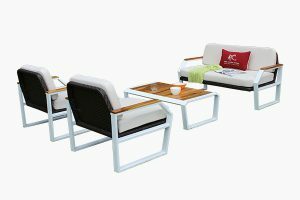 As a leading brand name in outdoor furniture industry, ATC Furniture has provided a wide range of rattan outdoor furniture with fresh appearance, modern and long-lasting. 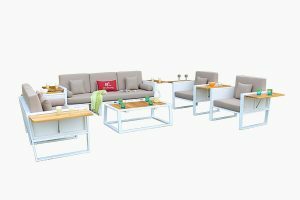 ATC products ( outdoor furniture weather resistant ) stay attractive despite exposure to the environment and easy to maintain with 3 main types of material. Rattan patio furniture frame has its structure from a variety of metals, each with its own strengths and weaknesses. At ATC Furniture, we use powder coated aluminum to produce frames. In addition to light weight, this metal will not fade or rust, and just requires less maintenance. we can simply use soapy water to clean Aluminum frames. On the other hand, user can apply a layer of car wax because it helps keep aluminum always look good as new. Especially, aluminum is corrosion resistant and can survive outside for long periods. 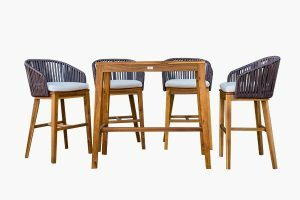 Popular wood types in making rattan patio furniture include teak, pine, cedar, eucalyptus, and redwood. Hardwoods, such as teak, jarrah and shorea, tend to be more durable and lasting up to 50 years. In addition, out of this natural life cycle, we can increase by treating wood with special oils and sealants. Despite not durable and long lasting as hardwoods, soft woods like cedar and pressure treated pine do last for years outdoor. However, untreated pine has low resistance to rot. Therefore painting or sealing and storing indoors during winter months is the best way to keep it in good condition. 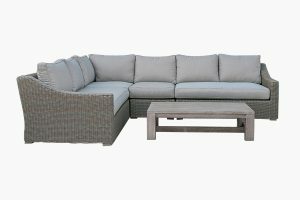 Another benefit of using wood in rattan patio furniture is it does not hold the sun’s heat like plastic and metal do. 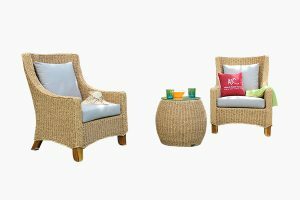 Wicker of rattan patio furniture have its root from synthetics in order to increase weather resistance, durability and costs. Weather resistant wicker experienced a complex process and specialized to last outdoors. Despite possessing a similar outlook with natural wicker, synthetic retains better qualities than the finest natural wickers. UV light is not a problem for synthetic wickers, its exposure ability to sunlight is up to 12 hours a day and 365 days a year. It also retains no moisture, preventing from being damaged by rot, mildew, weakness or expansion. 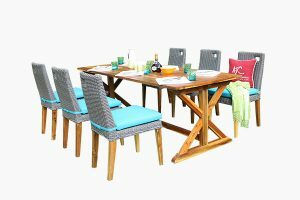 How to possess a weather resistant rattan patio furniture is always a concern of most buyers because it depends on quality of all materials. However, it will become easier if you pick up ATC Furniture’s product lines.